Los Angeles, June 27, 2014 - ARC Entertainment brings you the heart-felt drama Lullaby . Written and directed by acclaimed fine artist Andrew Levitas (Hellbent, Beauty Shop), the film stars Garrett Hedlund (Tron: Legacy, Inside Llewyn Davis, Pan), Academy Award Nominee Richard Jenkins (The Visitor, Eat, Pray, Love), Academy Award Nominee Amy Adams (American Hustle, Her, The Fighter), Jessica Brown Findlay (Winter's Tale and PBS's "Downton Abbey"), Academy Award Nominee Anne Archer (Clear and Present Danger, Fatal Attraction), Academy Award Nominee Terrence Howard (Hustle & Flow, Iron Man), Academy Award Winner Jennifer Hudson (Dreamgirls) and Jessica Barden (Hanna). 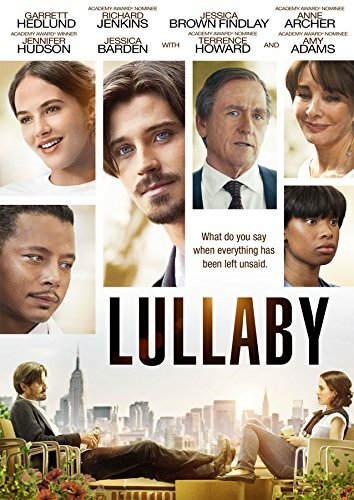 Lullaby will be available on DVD for an SRP of $20.99 on July 29, 2014. Estranged from his family, Jonathan (Hedlund) discovers his father has decided to take himself off life support in forty-eight hours' time. During this intensely condensed period, a lifetime of drama plays out. Robert (Jenkins) fights a zero sum game to reclaim all that his illness stole from his family. A debate rages on patients' rights and what it truly means to be free. Jonathan reconciles with his father, reconnects with his mother (Archer), sister (Brown-Findlay), and his love (Adams) and reclaims his voice through two unlikely catalysts - a young, wise-beyond-her-years patient (Barden) and a no-nonsense nurse (Hudson). Through this intensely life affirming prism, an unexpected and powerful journey of love, laughter, and forgiveness unfolds.